I made both of these in a hurry before the NFC Championship. The cupcakes especially were pretty sloppy (sorry), but you get the idea. Mix 8 oz. softened cream cheese with 3 – 4 cups crushed oreos. Refrigerate one hour to set up. 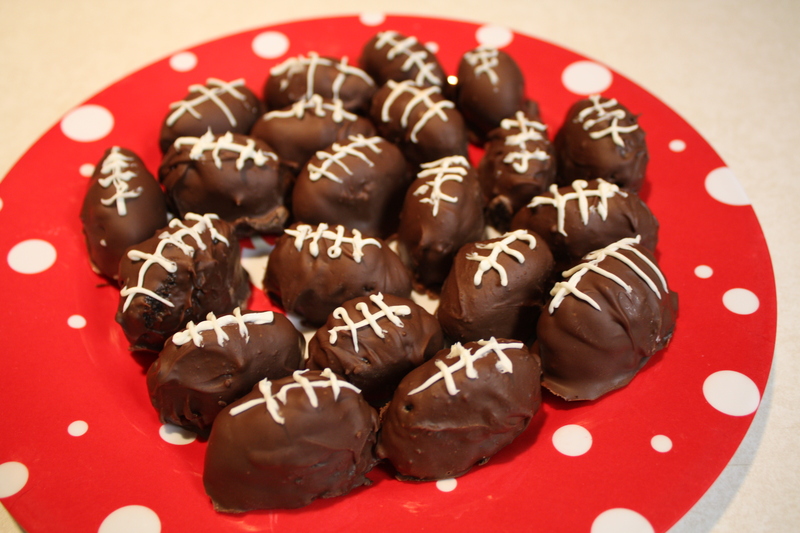 On wax paper, I hardened melted chocolate (ever so sloppily) on pretzels to make goal posts. The football is a chocolate covered raisin, striped with frosting.